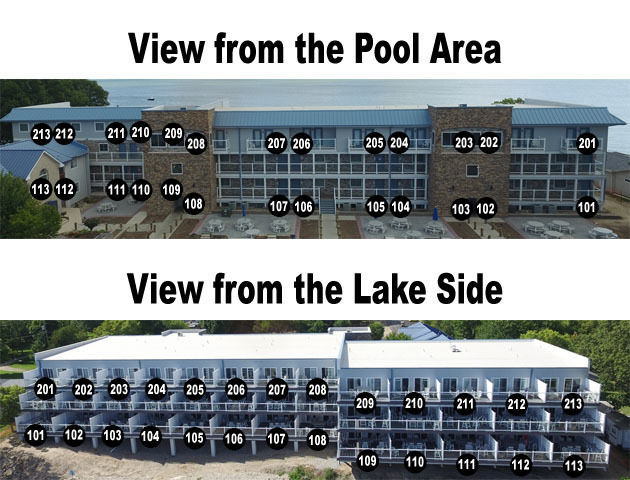 Getting to Put-in-bay Ohio is easy... if you have a map! 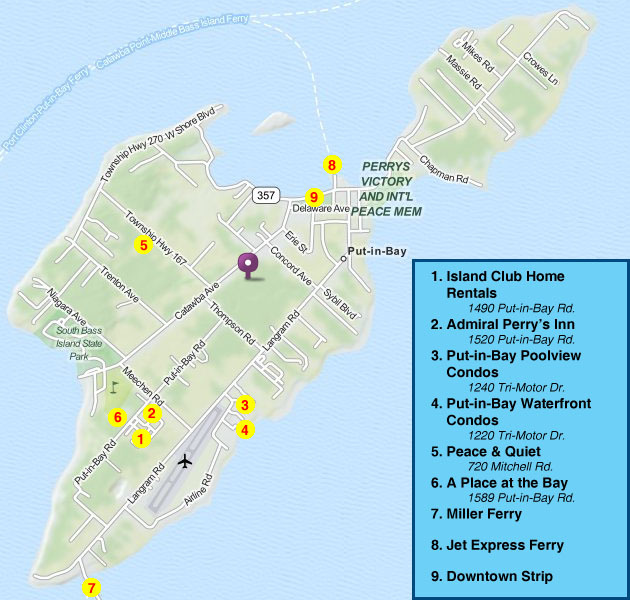 Below are some helpful maps of Put-in-Bay and the surrounding area to assist you. Whether you are trying to get to the island, or are already here, there is a map for everyone. Located about halfway between Toledo Ohio and Cleveland Ohio, Put-in-Bay is located on an island in Lake Erie. Most guests and tourists arrive by ferry boat which departs from either Port Clinton or Catawba Island. Ferry routes are highlighted above. Once on the island, it is super easy to navigate from the Island Club Homes or Put-in-Bay Condos to get downtown, to the Monument, or a myriad of other island attractions. Stop by the Chamber of Commerce and you can pick up a more detailed map of every restaurant, attraction, shopping, transportation, and park on the island. 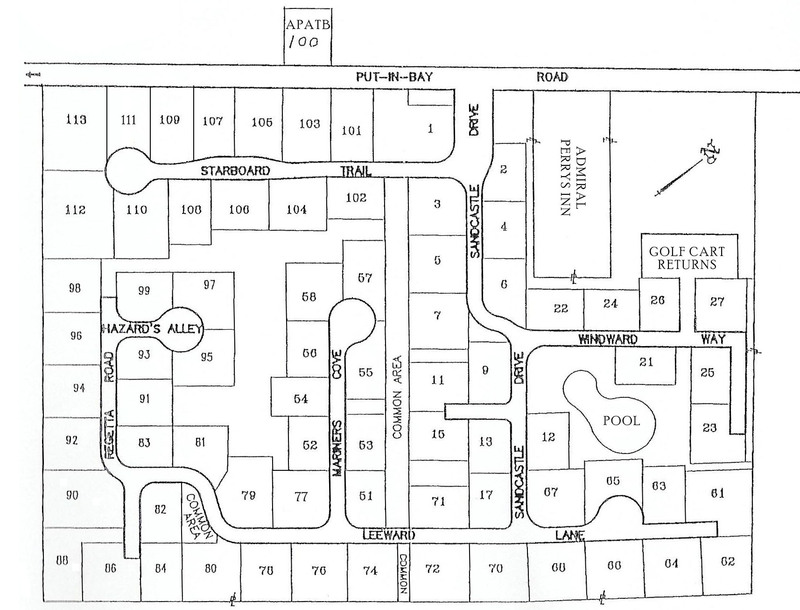 As an added bonus, listed above are also property maps of the Island Club Homes and Put-in-Bay Condos. 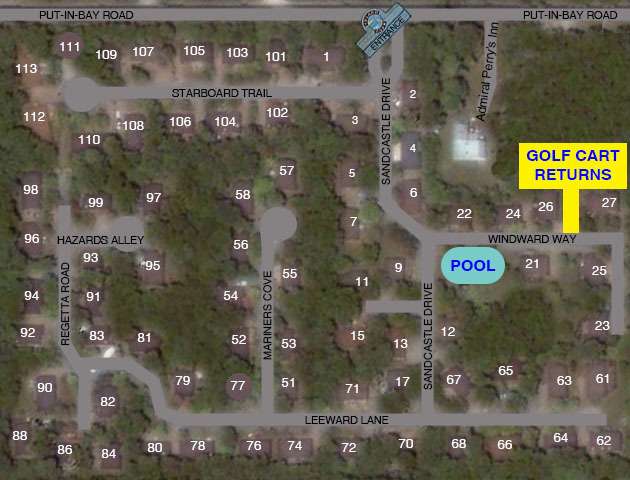 Find your individual home or condo, or even pre-plan your family reunion and pick out some homes or condos that are located near each other!